Syfy’s event series Ascension is the vanguard of the network’s quest to redeem itself to all those fans it’s alienated in the years since it was the home for beloved shows such as Battlestar Galactica, Farscape, and Stargate. Since then we’ve been through a name change, quite a few bad “reality” shows, and plenty of fun but largely forgettable fluff like Eureka. Now Syfy says they want to be in the business of making serious genre entertainment that can compete with the likes of HBO and AMC. That’s bold talk from the makers of Opposite Worlds, but we do have to admit: things are looking good the more we see of Ascension. Check out the latest trailer below. Syfy is working on developing a number of potentially fantastic shows to augment their steadily growing stable of original content, which already features the likes of Continuum, Z Nation, Defiance, and Helix. Out of all of these, however, we may be most excited by, and interested in, Ascension. The cast features a number of strong actors, including at least one sci-fi fave, and it’s an ambitious adventure set in space, which is always something we want more of. There hasn’t been too much revealed yet, but as we approach the premiere, we now have the first trailer for the limited series. Granted, this is a very short look at Ascension, and it doesn’t reveal much about the plot, but there is still a good deal to dig into here. 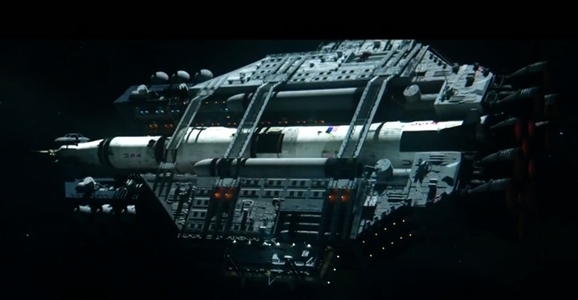 There’s the basic set up, a massive ship has been launched in order to insure the future of the human race, which is similar, thematically at least, to Christopher Nolan’s upcoming Interstellar. We know that on this ship there is a horrible crime, which you also get hints of, which you get when you see Brad Carter (True Detective) freaking out and holding a gun on people. Comic-Con 2014 is almost here! Beginning this Wednesday, one of the largest pop culture events around will completely overwhelm San Diego. There’s so much going on, it’s a monumental task just to figure out which of the countless panels and events you want to try and see. Well, we’re here to make your life just a little bit easier by running down all the panels that should be at the top of your must-see list. Here are our picks for the Saturday events you can’t afford to miss! Warners has got two major science fiction pictures to show off in their Hall H presentation: George Miller’s Mad Max: Fury Road and the Wachowskis’ Jupiter Ascending (as well as the upcoming The Hobbit: The Battle of Five Armies). Unfortunately, the program guide doesn’t currently list which guests will be on hand to promote things. I would be very surprised if the notoriously media-shy Wachowskis put in an appearance, but I wouldn’t rule out stars Channing Tatum and/or Mila Kunis. 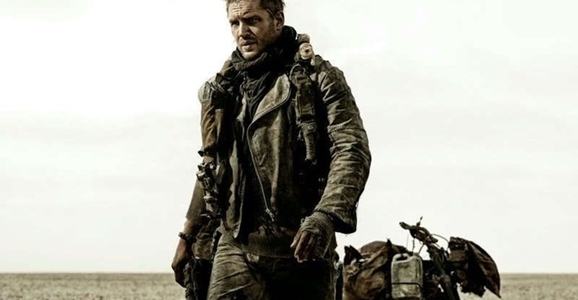 On the Mad Max front, I’d guess we might see Miller on hand, and possibly even the new Max himself, actor Tom Hardy. I’d put the chances of somebody asking him to do the Bane voice at 230%. If nothing else, we know the panel will be screening footage from both movies. A barely noticeable eye twitch begins every time I speak positively about an upcoming Syfy project, and their upcoming miniseries Ascension is one of the most promising sci-fi shows of the year. (And no, I’m not winking when I say that. It’s the twitch.) In any case, a mankind-saving spaceship is only as good as its crew, and three more able bodies have signed up for the voyage. 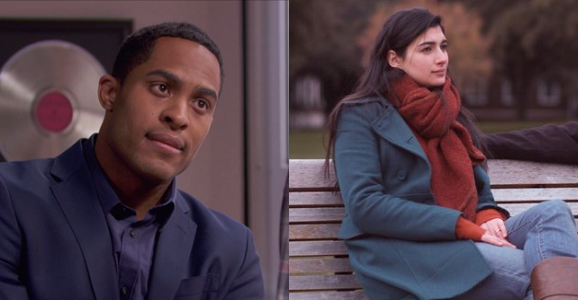 Brandon P. Bell (Hollywood Heights), Tiffany Lonsdale (The Golden Veil), and newcomer Jacqueline Byers join the previously announced Brian Van Holt (Cougar Town) and Battlestar Galactica‘s Tricia Helfer. The six-episode Ascension will hopefully be a return to form for Syfy, as it will tell a story that is nearly larger than life itself. The titular vessel is a starship that was secretly launched into space in the early 1960s, just as America was getting into the Space Race. The mission is simple and difficult all at once: a 100-year journey into the complete unknown, with a goal of finding a new planet to populate and extend humanity’s footprint on the universe. But things rarely go as planned in sci-fi, and halfway through the mission, a young girl’s murder on board the Ascension throws everyone and everything into question. Commanding a starship puts you in an exclusive club. Aside from the sheer perks of getting to explore the galaxy, you get to hit up all the Starship Captain Conventions and rub elbows with the likes of Kirk, Solo, Adama, Reynolds, and…well, whichever member of the Moya crew you think was in charge. 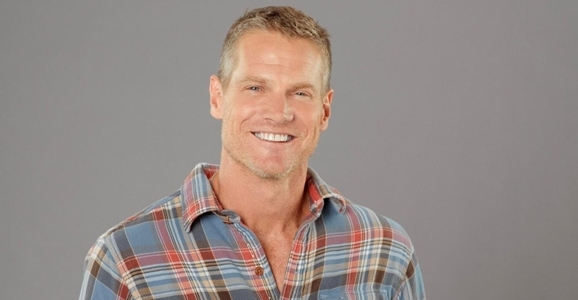 Now there’s a new member of the club, as Cougar Town actor Brian Van Holt has signed on to play the captain in Syfy’s space thriller mini-series Ascension. If he asks where the keys to the officer’s club are, tell him I left them with Tricia Helfer. Ascension is the vanguard of a ton of promising new science fiction series in development from Syfy. It revolves around a starship launched in secret back in 1963. Now, 50 years into its voyage, the murder of a woman aboard spurs questions about the true nature of the mission. The six-hour “event series” was created by Philip Levens, a dude with a mixed bag of TV credits that include Smallville and the 2008 Knight Rider reboot.